I got the Boss car cover with my 2013 Boss, but never opened it. Is it cool, stripes or anything? Yes it mimics the stripes. Last edited by Mustang Freak; 8/10/18 at 08:51 PM. Nice, never really thought much about it, other than it came with the car and I left it in the bag, totally sealed. I saw the Bullitt one, and thought, hmmmm, wonder if the Boss one is cool too. I plan on keeping my Boss and the original stuff I got with my Boss together. Not sure about Mustang Freak. They are not cheap though, saw some for upwards of $400, which is crazy for a car cover, I think. They are $362 on the Ford parts web site. I ordered one for my 2011 v6 back when it arrived after ordering it, I paid $428 for it . It has the running pony on the front and the word MUSTANG on the rear. Tasca has it for $327 + 5% off with the AUG5 promo code. I’m probably just going to order from there. I just got my Boss 302 cover from Tasca. Its not as soft on the inside as I thought it would be. Has anyone had any issues with this cover scratching? 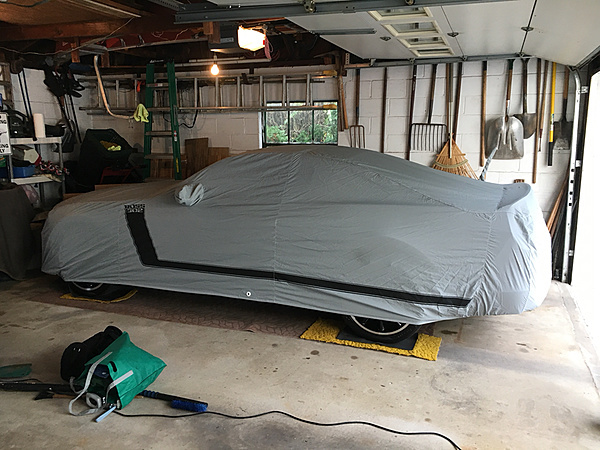 Any car cover will scratch or mar paint if not installed properly. I have used car covers since 1972 and not had any problems with effecting the paint. There are plenty of info on YouTube. I always make sure to fold the outside cover inside and use the storage bag. My concern is that the inside of the cover isn’t as plush as some of the others offered. The inside material is the same as the exterior. I was expecting it to be a bit softer on the inside, hence me asking if anyone had a problem with this particular cover scratching the paint. 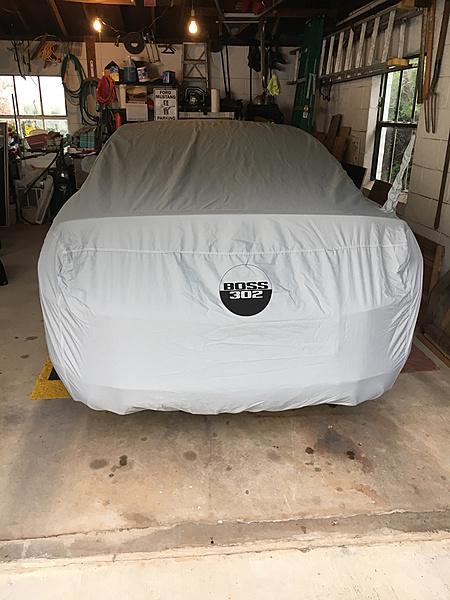 Best 2005 Mustang Car Cover/Bra cover?